Orkut is probably filtering spam using the same technology in Gmail. 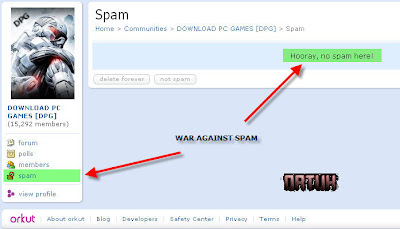 Communities now have a really strong spam filter for the administrators. Administrators can now encourage members to be responsible and report spam activity.